Kelly Hallman is one of the underlying reasons for the success of Building Homes for Heroes in Florida. 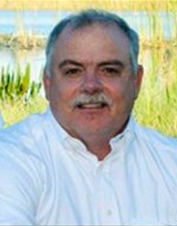 Mr. Hallman, who serves as the organization’s mission leader in Tampa, has been designing unique and innovative homes in Florida for a quarter century. He has provided Building Home for Heroes with hard work, sound advice, and genuine concern for the well-being of the men and women of the military. His mantra of “if you can dream it, we can design it” walks hand in hand with our philosophy of meeting the needs of our home recipients.